I asked a guy in a cafe to lend me his phone and paid him the call back. 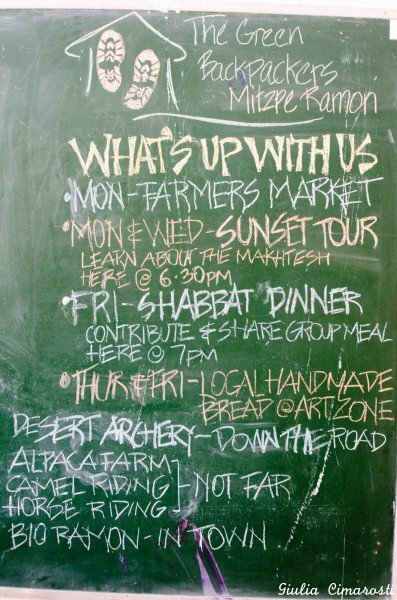 The first thing I did when I crossed the border from Aqaba (Jordan) to Eilat (Israel) was calling Yaron, one of the owners of the worldwide notorius Abraham Hostel in Jerusalem. I crossed the border after days without a working internet connection, then Petra, then the desert of Wadi Rum… so once in Eilat I had no idea what to do. I had no booking, no itinerary. But Yaron saved my life! All I had to do was take a bus to Jerusalem and have a good night of sleep. The following morning, Yaron met me with a map, stretched it out on the table, and showed me all my options. Thanks to the free ILH map, I suddenly had a whole range of choice for my upcoming nights just under my nose. In case you are wondering, YES they have options for the West Bank too (and I will definitely check those out too next time!). As I said before, this hostel is uber cool. As soon as I stepped into the Abraham’s door, I felt welcomed and comfortable. 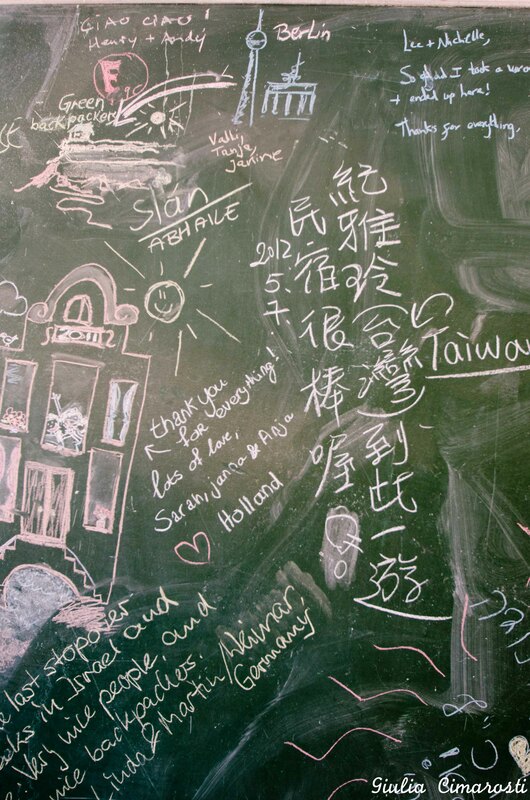 You can really tell that there are real travelers behind it! From minute one, you start getting all the information you need. And most important, the info comes with a smile! I really appreciated that they offer a free tour of the Old City as well as an interesting ‘Hebrew 101’ class for newcomers. Don’t you just wish you could get something like this in every new country you visit? Everything is very organized: there’s a ‘travel desk’ where you can ask for information or book a tour, an internet room, free wifi in the entire building, a huge common area with hammocks, tables and a big shared kitchen, a bar that serves good coffee and great cocktails, and as far as I know they even serve pizza now! Oh and you get Nutella for breakfast, just saying. 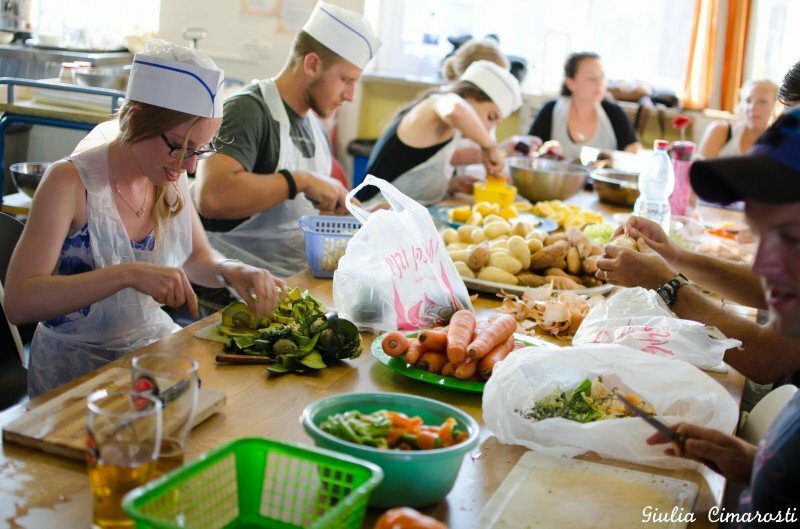 Every friday night there’s a Shabbat dinner, which means all the guests cook and have dinner together, while the staff explains the meaning of Shabbat and shows the traditional rituals. It’s fun and it’s interesting! And yummy. Abraham Hostel is the largest private hostel in the country, but it doesn’t feel so big when you stay there. On the contrary, there’s a nice, warm, homey atmosphere and it will always be a pleasure to go back at the end of your days of explorations. I was happy to find out that it is not a “party hostel”. It’s rather a place to meet people and make friends. 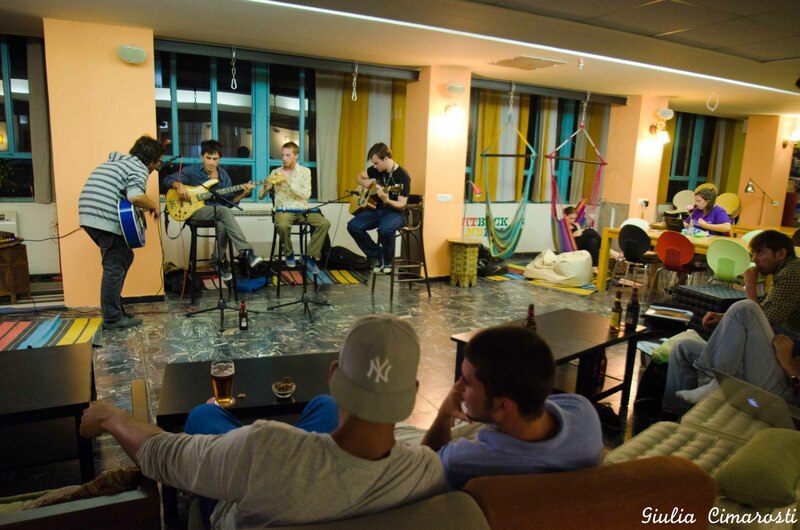 The social aspect of the hostel is very important, that’s why the common areas are so big, cozy and inviting! 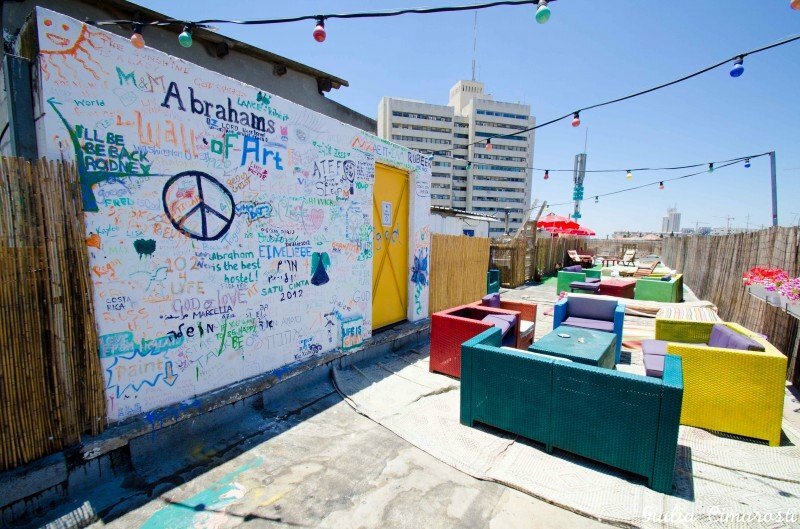 The cool rooftop where everyone can write or draw something on the wall! 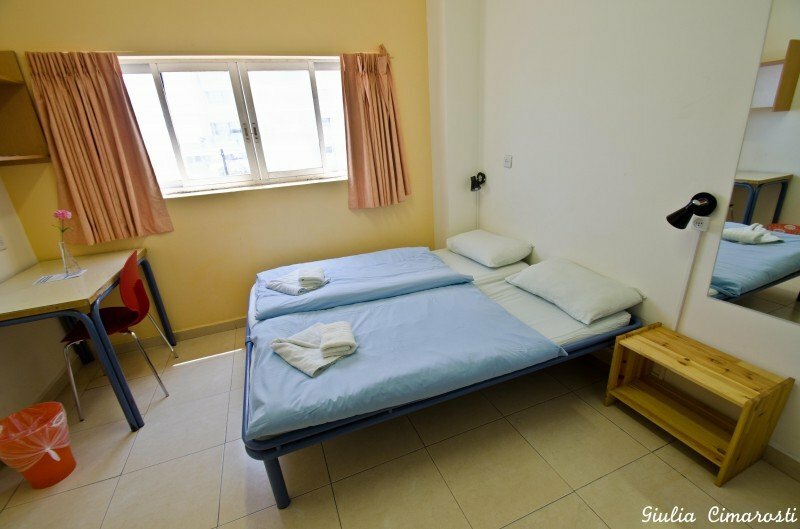 The rooms are simple but they have everything you may need: every bed has a power socket, every room has a bathroom, and everything is very clean. All this with free WIFI. What else do you possibly need? At Abraham Hostel there are so many options for activities and tours that you will have a hard time choosing! Not to mention the day trips to Jordan and Egypt, of course. I have to add that it’s extremely easy to reach Abraham Hostel. You will likely get to Jerusalem by bus, then you just have to take the tram and get off in Davidka. Then, instead of going the wrong way as I did, just glance up and you will see the hostel! It will be just in front of you. The Old City is within walking distance: a pleasant 15 minutes walk through Jaffa Street and very nice, lively neighborhoods of Jerusalem. 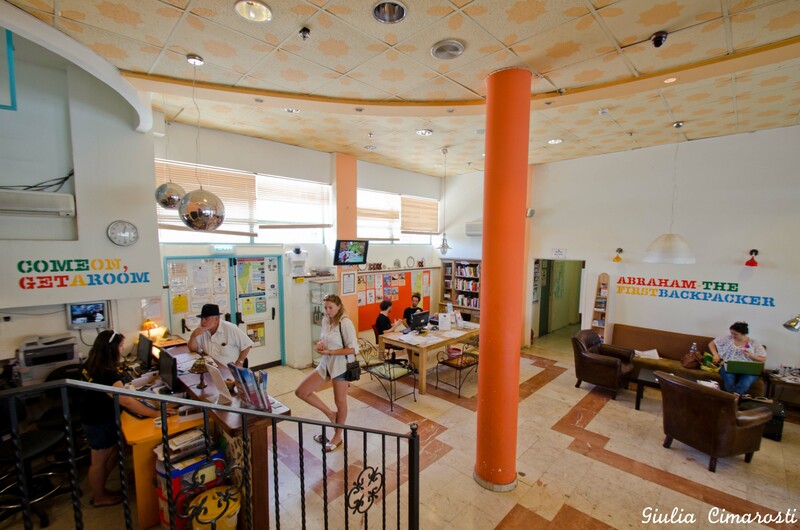 Abraham Hostel is definitely my recommendation for anyone who wants to stay in Jerusalem. Prices: from €22/night in a dorm, up. 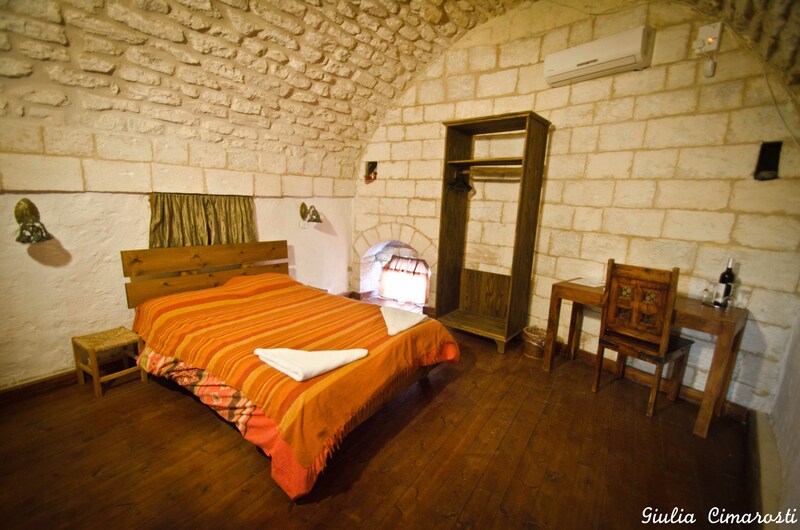 Fauzi Azar Inn is the most popular accommodation in Nazareth. When I got off the bus in this rather small but chaotic city, I didn’t even have to ask for directions: seeing me with a backpack, the locals automatically addressed me to Fauzi Azar Inn, in the heart of Old Nazareth. This is what I call a unique place. The mansion has belonged to the Azar Family (a Christian Arab Palestinian family) for over 200 years, but has been abandoned in 1980 after Mr Fauzi Azar’s death. Ever since 1948 the locals had started to leave, and their place was taken by Arab refugees. The Azar house made no exception. 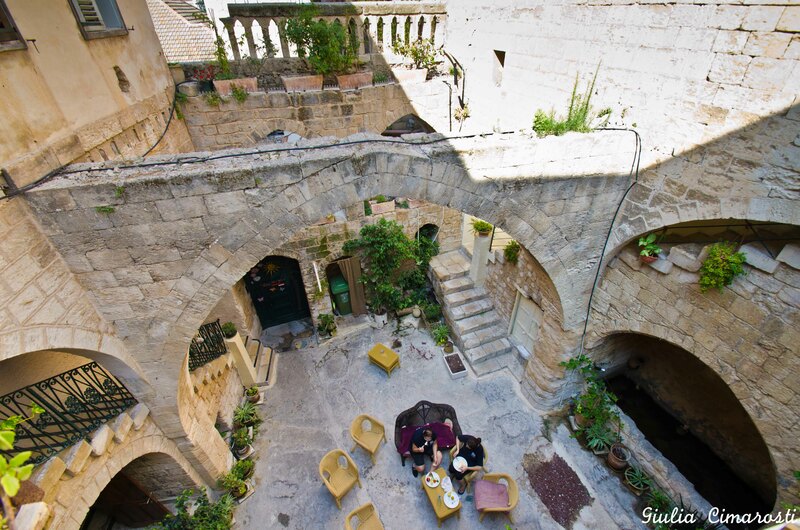 In 2005, Maoz Enon decided this was the perfect location for the guesthouse of his dreams. At first everyone thought he was crazy: there were no Jews in Nazareth and that looked like a crazy idea! Also, back then the Old City was rather dangerous… who wanted to go there anyway? After long negotiations with the Azar family, the Fauzi Azar Inn finally open to public, and that was the start of the revival of the Old City. Mr Enon was accepted by the locals as he used local manpower and limited himself to manage the guesthouse, which still belongs to the Azar family. I spent one night in a beautiful private room at the Fauzi Azar Inn, and felt like I was transported back in time! 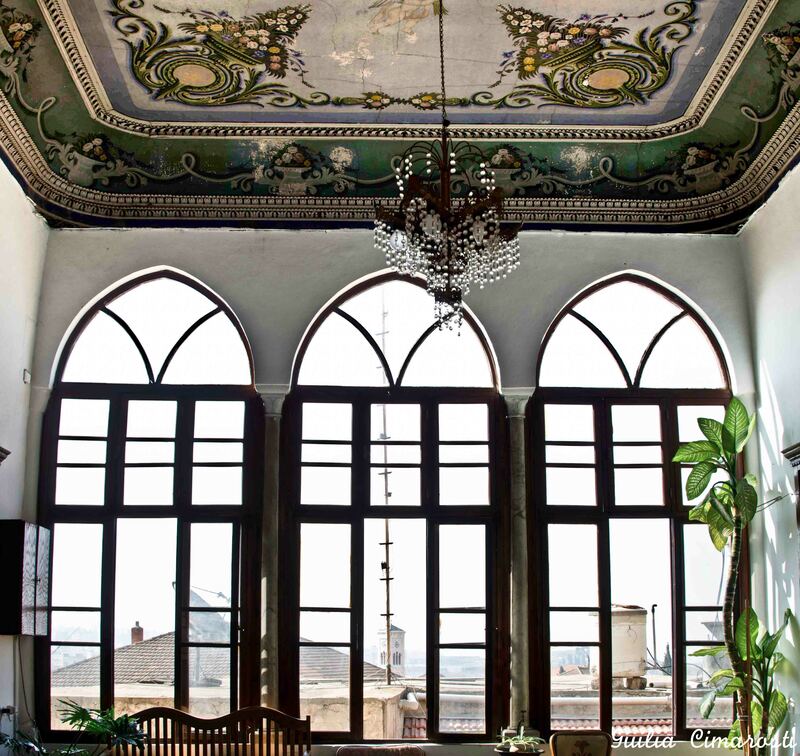 The Fauzi Azar Inn is well known for its original painted ceilings and the beautiful big windows with a view over the Old City of Nazareth. 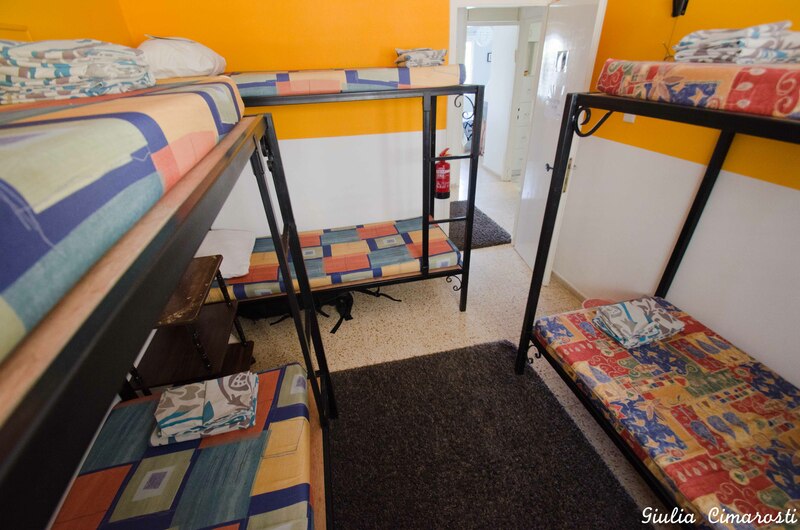 Prices: from €18/night in a dorm, up. When I saw the photo of the Gengis Khan Camp, I decided I wanted to go. Mongolian tents, AKA Yurts, sounded too cool to be skipped. 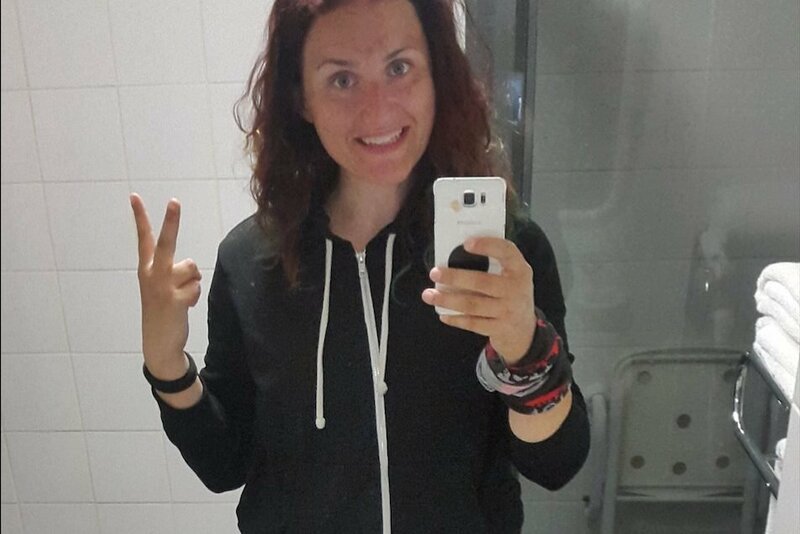 I’ve always wanted to go to Mongolia, so I guessed that could be a good training! These tents are really big and can hold up to 10 people. Sleeping on the mattress in the Yurt was very comfortable and definitely a new experience. I find this a perfect solution for families, or in general groups of people who travel together. You have your comfort, your privacy, and a pinch of adventure! 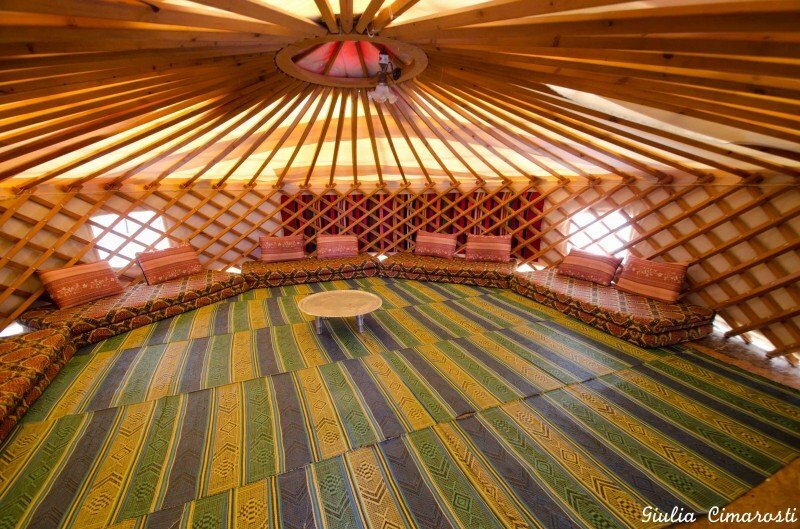 Of course this is a very fancy version of yurt! 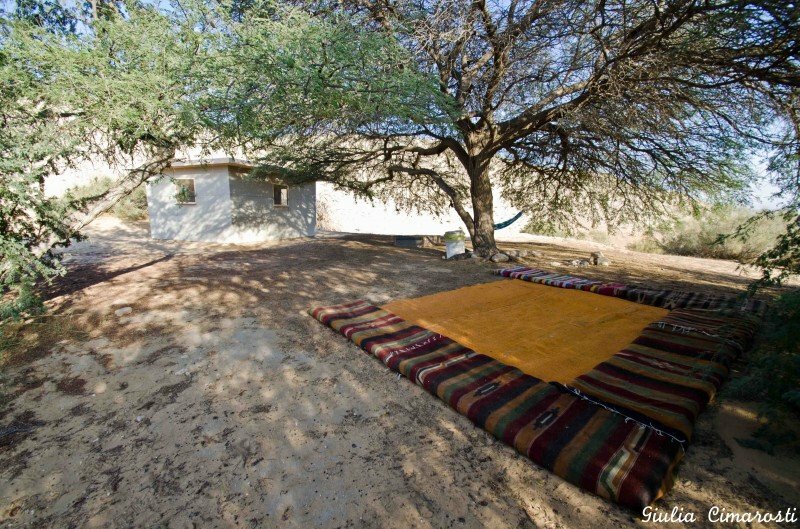 Every tent has A/C, and a private bathroom on the side. Watch: how the Yurts were built! 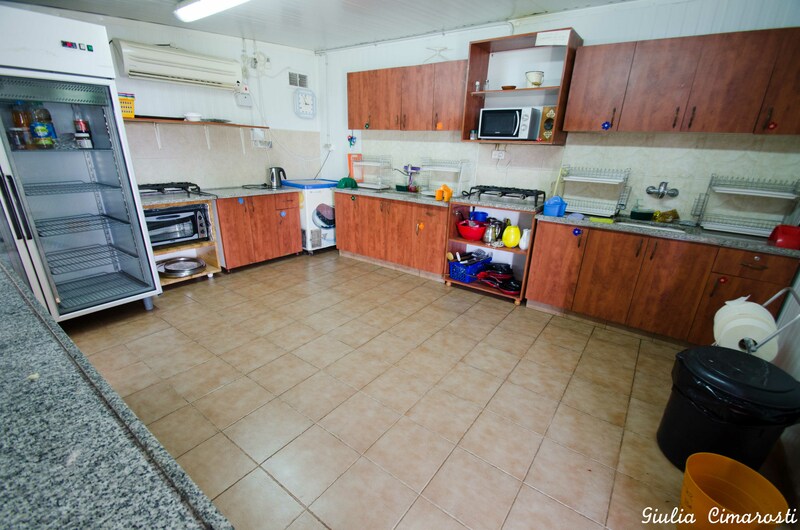 There’s a big, nicely equipped shared kitchen and a garden with any herb you may need for your tea. If you plan to visit the Golan Heights, I suggest you to have a car in order to explore it freely. There are not many buses up there, even if you can always easily and safely hitchhike. The surrounding area offers many activities, such as hiking (lots of it), rafting, bathing at water springs, kite surfing in the Sea of Galilee, and of course the holy places such as ‘Kursi’, the place where the miracle of the swine is said to have taken place. You know I love the desert! 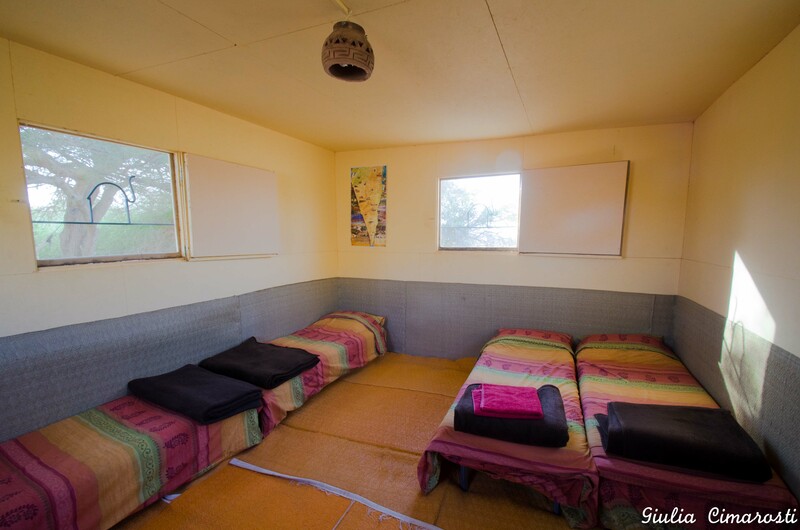 I wanted to sleep in the Negev ever since I stepped into Israel, and finally I found the perfect place! 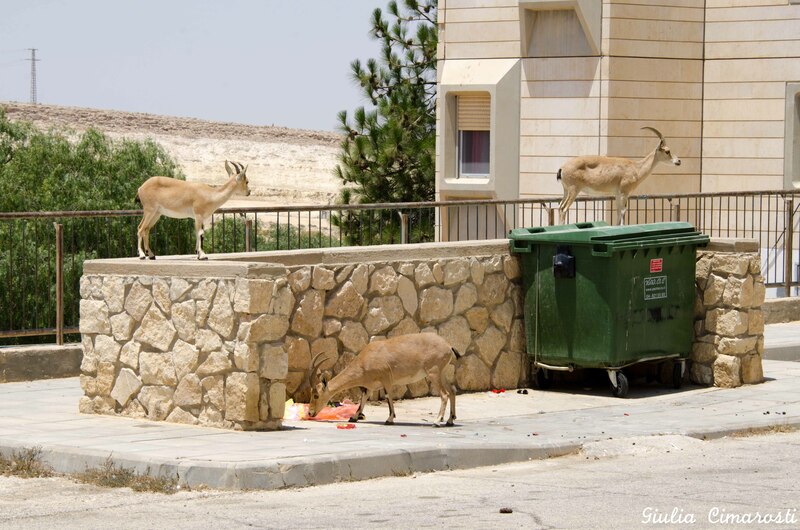 The Negev Camel Ranch looked just perfect. 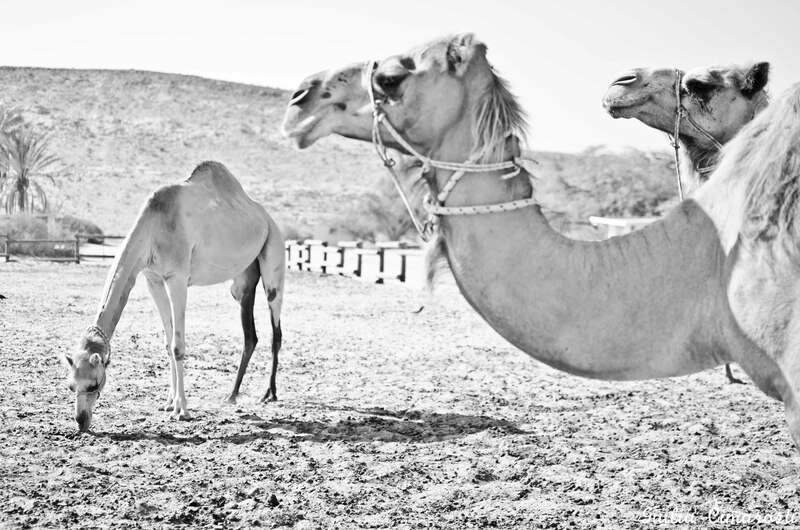 Most people go there for camel rides, but I was happy with observing them and taking photos! The owners live in the ranch and breed camels for passion. As they state on their website, “one can have a camel ride for 1 hour or up to 2 days!”. Accommodation comes in huts. Every hut has a lot of privacy and mine also had a nice view on the desert, a lovely setting where I took a nice nap before dinner. The Negev Camel Ranch is on the ancient Incense Route, and not far from the camp you can visit the Nabatean city of Mamshit. Vegetarian food is available on request… so request it! It’s seriously great food. 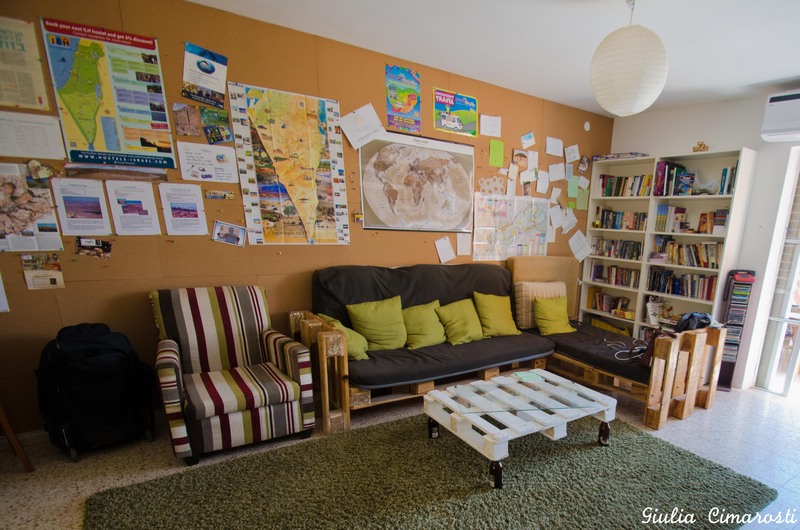 The Green Backpackers is a tiny little hostel that feels more like a house, in the pretty much deserted town of Mitzpe Ramon. I just loved the details of this place. Vintage and recycle here are combined and taken to another level… with cute results! 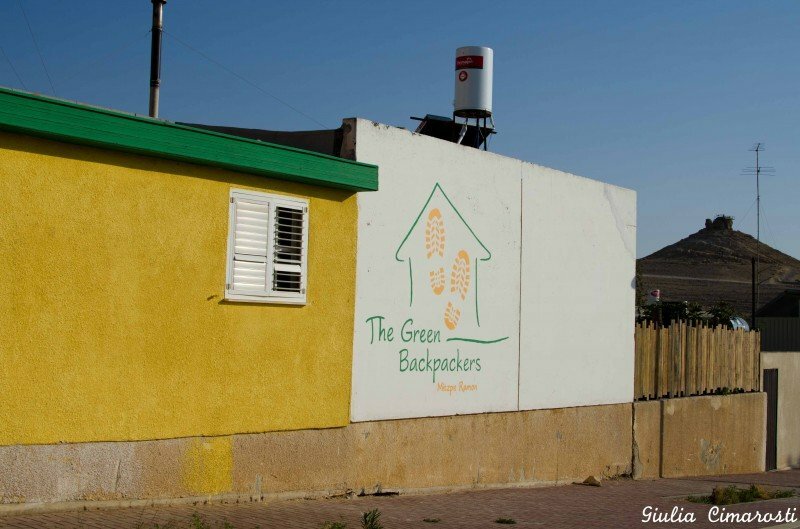 The Green Backpackers: cool door handle! 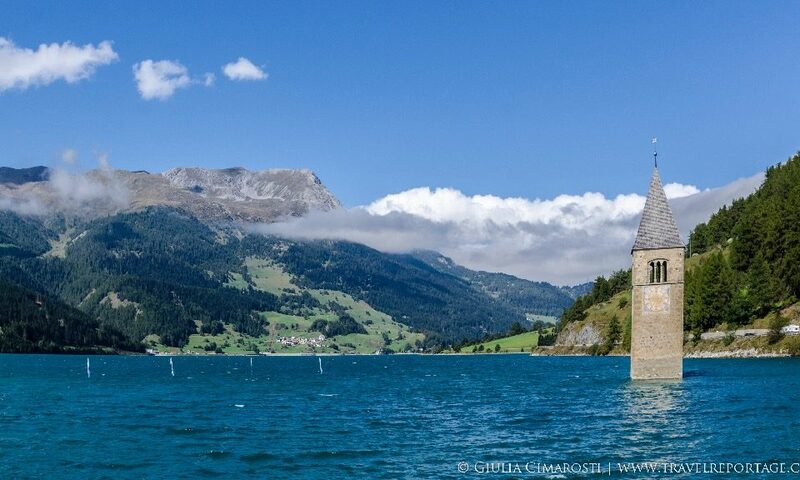 So what is so interesting about a deserted town in the middle of… pretty much nowhere? Well, you just have to walk a couple of hundred meters to find out. Mitzpe Ramon lays on the edge of what is erroneously referred to as “a crater”, but was formed by erosion and not by a meteorite. This kind of geological formation is called a “Makhtesh”. These are extremely rare and there are only a handful of these in the world. 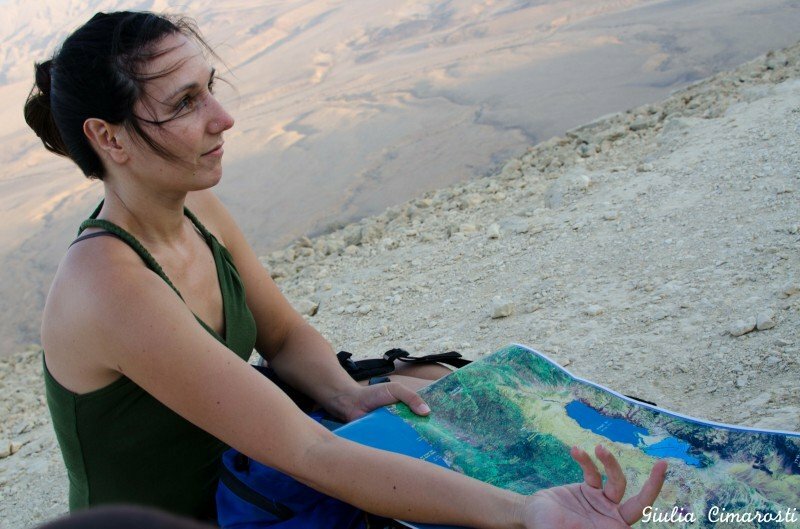 Mitzpe Ramon is paradise of hikers. 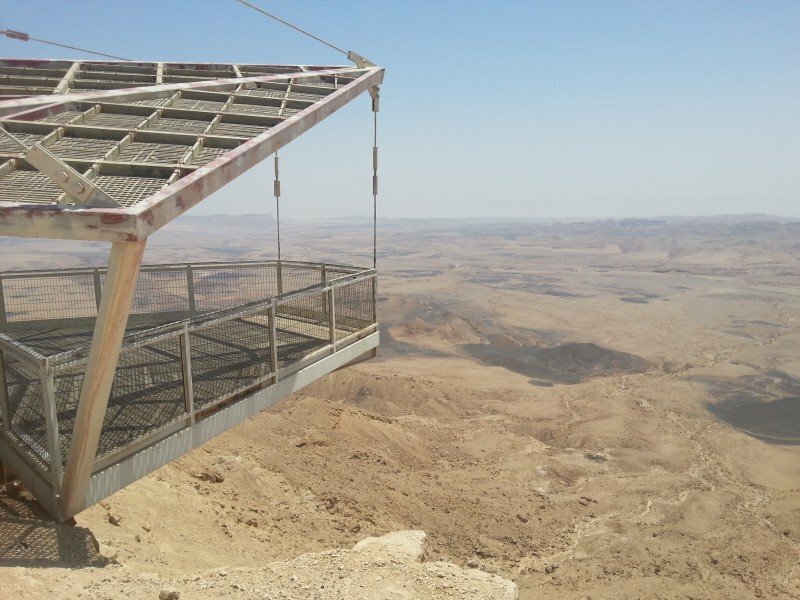 You can cross the whole Makhtesh following different paths and climb the edges on the sides. Did I tell you that Makhtesh Ramon has the shape of a heart? It’s so romantic for you couple travelers! The green backpackers is very close to another famous landmark of Mitzpe Ramon: the camel shaped rock. Can you see it on the right? Dorms are basic, cozy and clean. I had a really good night of sleep here! Private rooms are more than beautiful! See? It really looks like a house… this is why I like this place so much. …Have a free introductory tour of the Makhtesh… which I highly recommend. Here is Lee, the owner of the hostel, explaining us how the crater was formed and showing us the main hiking trails. 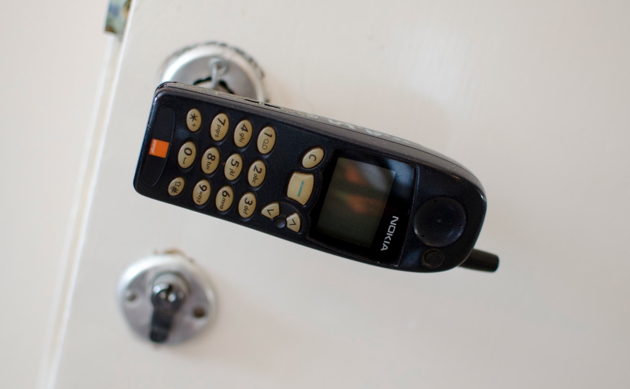 …or just leave a message! Apart from the Makhtesh and the camel shaped rock, there’s not much to do in Mitzpe Ramon. Walking around made me feel like I was in a ghost town. Then I had an unexpected encounter. 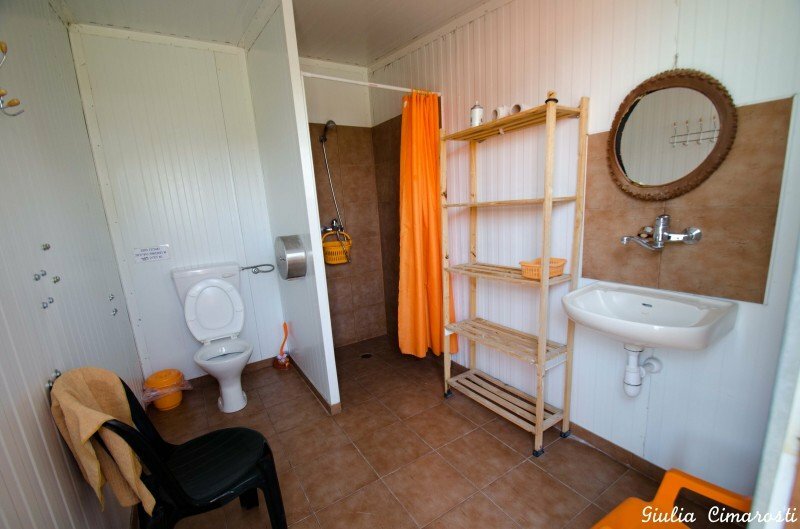 Price: from €15/night in a dorm, up. I hope you enjoyed the tour of these five unique forms of accommodation. Did you stay at any of them? Would you suggest other places? Hey! I love your new layout :-), well done! That’s a superb review. I will keep this article in my favourites and definitely use it when travelling to Isreal again. I really enjoyed myself in this country two years ago. Happy travels! 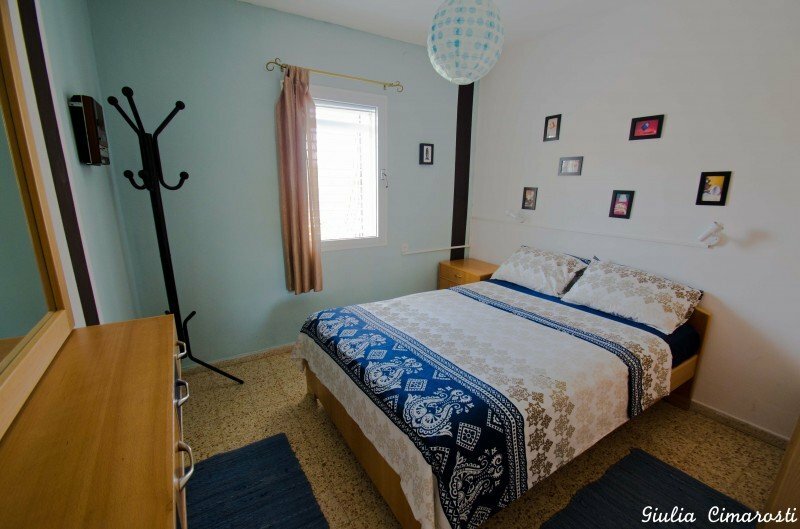 You certainly found some incredibly unique places to stay in Israel. I am impressed! 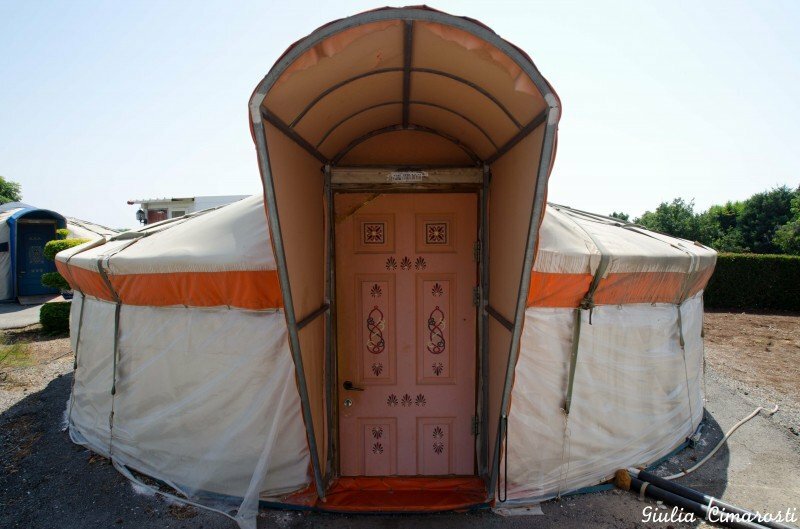 I would love to sleep in the yurt, and I’m definitely going to be staying at Abraham Hostel on my next trip to Jerusalem. I’ll be referring back to this post if I do ever decide to spend time in the desert (despite my love of the Middle East, I am not a desert person). I’m happy you got to stay in such cool places! Hey Sabina, yes, I found some really cool places, it was a great surprise! Oh and I want to know how come you don’t like the desert! Hehe. Thanks for liking the post! Wow! They’re all quite good! From the hostel to the elegance of the Fauzi Nazar Inn, they all seem to be a comfortable place for some nights. I’ve never been to Israel before but it’s on my bucket list and I hope that next spring I’m going to realize it. That is one quirky door handle! Those rooms look quite comfy to me as well. I would definitely try to go to Makhtesh some time next year. Very interesting information. May be during our next visit to Israel we’ll use some of it :-) Thank you. Wow! Nice tips, and they’re actually really useful for me, because we’re going to spend the first two weeks of December in Israel! Thanks for the helpful tips! Israel is definitely somewhere I would love to travel and stay. Although it seems a little scary or dangerous. However everyone says there is nothing to worry about. This is a good tip. Simple but very accurate information. Its fantastic as yur other articles :D, regards for posting.